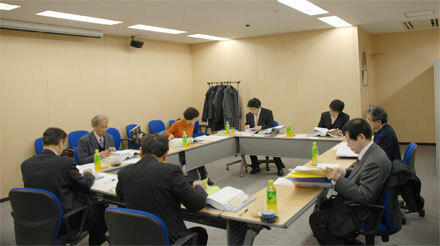 The 3rd Screening Committee Meeting was held at the head office of ARDEPRO Co., Ltd. in Shinjuku. From the field of 42 applicants from 22 universities nationwide (including Nagoya University which had been added newly from this fiscal year), 32 students from China, Republic of Korea, Indonesia and Mongolia had been selected as Akimoto Tatsunoko International Scholarship recipients. In addition, three of the first Tatsunoko Scholars were granted one-year extension in scholarship assistance, for their prominence in outstanding scholastic achievement, participation in the exchange programs and contribution to the Scholarship Foundation. A total of 35 students were selected as the 3rd Tatsunoko Scholars, as shown in the table below. With the selection, the foreign students sponsored by the Foundation, including scholarship recipients of the past fiscal year, has totaled 50 from six Asian countries. Note: Master's degree course is classified as "Graduate"; consolidated doctoral program is classified as "Doctorate".